Elliott Murphy’s latest novel TRAMPS takes place in the legendary 1980’s era New York City blues bar of the same name, where ex-punk musician Hoover has found his muse in the basement standing among the rat poison snorting cocaine with his best friend, bartender and drug dealer Jacky, while trying to make sense of a post-Elvis world, burying himself in the black shawl of the blues and looking for redemption in the rarified uptown elegance of the Frick Collection. Home is a call girl with a heart of gold as the Mafia and nihilism closes in from all sides. 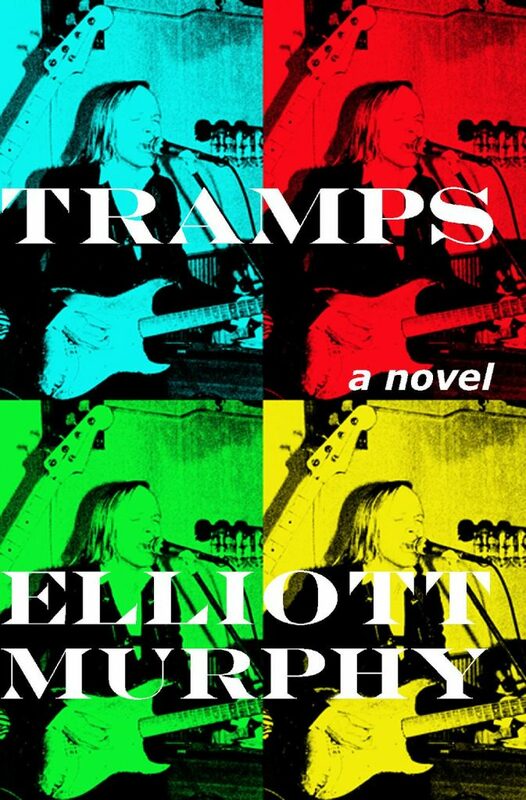 TRAMPS is the second in Elliott’s trilogy of rock novels, and his 3rd published novel. Available on Amazon.com and www.elliottmurphy.com. Elliott’s previous novels include the rock tragicomedy MARTY MAY and the neo-western: POETIC JUSTICE. Other published works include the short story collection PARIS STORIES, and two collections of poetry FORTY POEMS IN FORTY NIGHTS and THE MIDDLE KINGDOM. In a career spanning over 45 years, Elliott has released 36 albums, his most recent being ELLIOTT MURPHY IS ALIVE! “The Lion Sleeps Tonight,” an earlier story, has been made into the feature film Broken Poet, starring Elliott Murphy in his first major acting role. Cast members include the legendary Marisa Berenson, Academy Award nominee Michael O’Keefe, and acclaimed French actress Joana Preiss as well as rare cameo appearances by Bruce Springsteen and Patti Scialfa. The film is directed by award-winning Spanish Director Emilio Barrachina and is scheduled for a Spring 2019 release. Singer-songwriting superstar Billy Joel is also a fan and in his November 2018 induction of Elliott into the Long Island Music Hall of fame, he said—“I’ve long envied his bravery and integrity, and I’ve always admired his lyric skill” and invited Elliott to join him and his band on stage at Madison Square Garden to sing Walk on the Wild Side by the late Lou Reed, a fellow Long Islander and also an early admirer of Elliott’s music. In 2015 Elliott Murphy was awarded the Chevalier des arts et des lettres medal by the French minister of Culture.